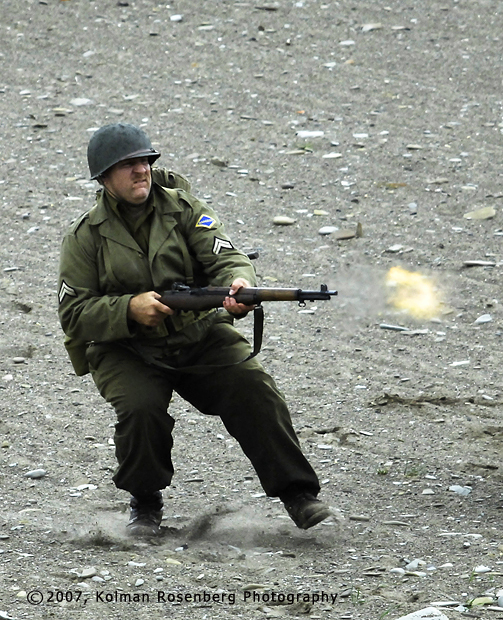 An Army Corporal reenactor charges the enemy positions with rifle blazing. While photographing the D-Day reenactment in Conneaut, OH, I had been trying all day to capture a photo showing the muzzle flash from a rifle. With literally hundreds of opportunities, shooting in continuous mode, this was the only shot of the day in which I captured the flash! 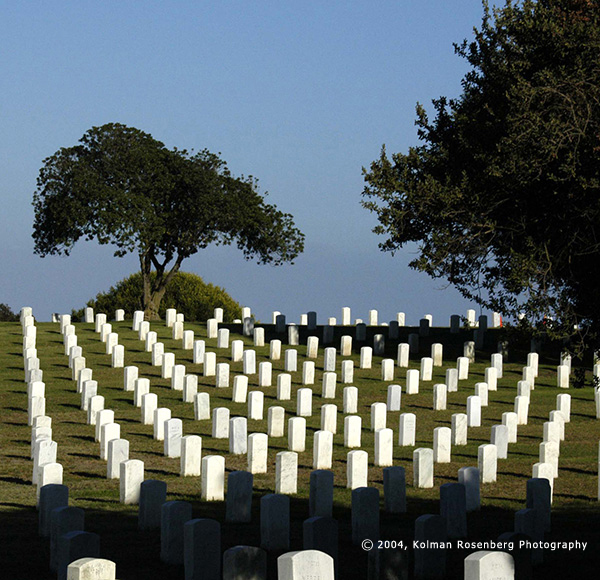 Now, as the holiday weekend is just about here, I wanted to move into the reason for the holiday, to honor Americans who have died in all wars. The following 2 photos help to remind us of that pledge. 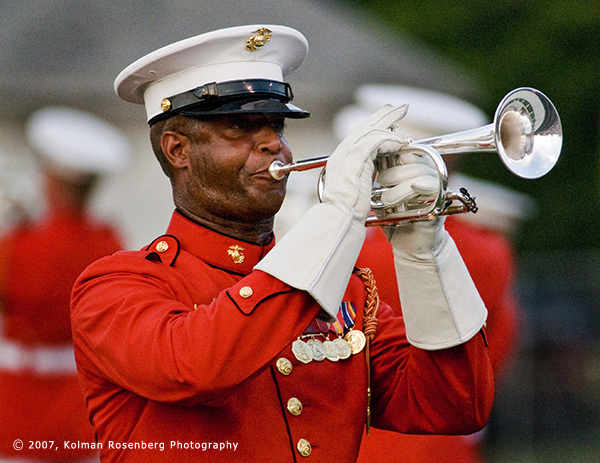 A Marine Corp trumpeter plays during the "Take Pride In America Festival. This entry was posted in Uncategorized and tagged army, band, Conneaut, fort, Marine Corp, memoria., Memorial Day, ohio, point loma, reenactment, reenactor, rosecrans, trumpeter. Bookmark the permalink.